The Birmingham Mail recently reported some newly released figures from the Office for National Statistics showing causes of population growth in English cities (including Birmingham and Coventry). Apparently, 58 per cent of population growth in Birmingham between 2007 and 2016 was fuelled by immigration. In the same ten year period, Coventry had an extra 52,782 people, and a staggering 98 per cent of that figure appears to have come from immigration. 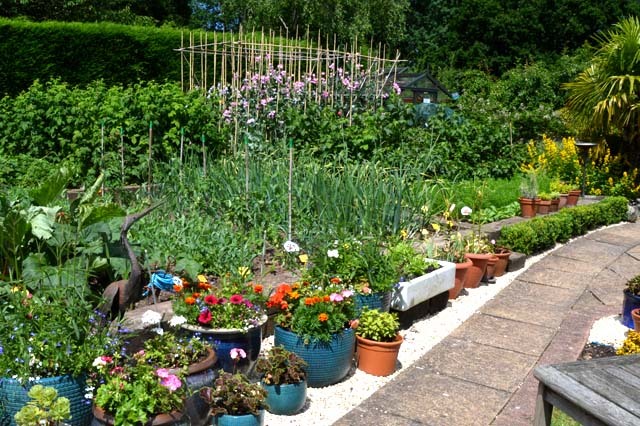 A political dimension to the recent controversy concerning building on the green belt also became apparent in this report from the Coventry Telegraph. Apologies had been received from Dianne Adams, Andy Gibbs, Trish Hancock and Faith Ward. The minutes of the previous meeting of July 11th 2017 were approved. A report had been circulated. Prior to the meeting a letter from Archie Taylor had been circulated. 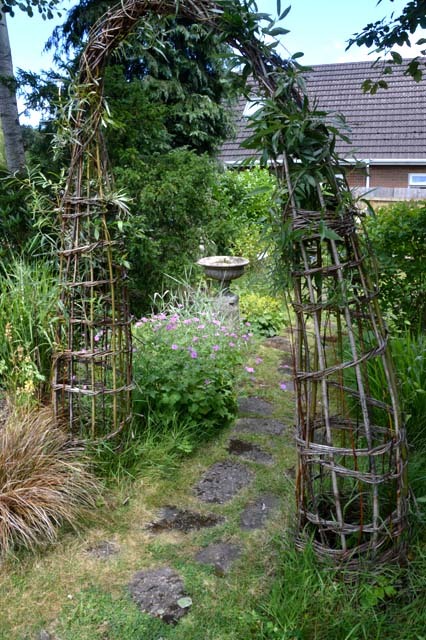 It requested a donation of £1000 to the campaign fund against the housing developments in the Green Belt. It was claimed that the developments were planned against a false premise that Coventry’s population and employment projections were hugely inflated and most of Coventry’s needs could be met by building on brownfield sites. Rona said a meeting of the campaign group was being held the same evening and that more clarity would be available after that. It was felt that further detail was required and this should be available following the group's meeting. The Warwick District Council meeting was due to take place on September 20th when councillors would vote or delay a decision. 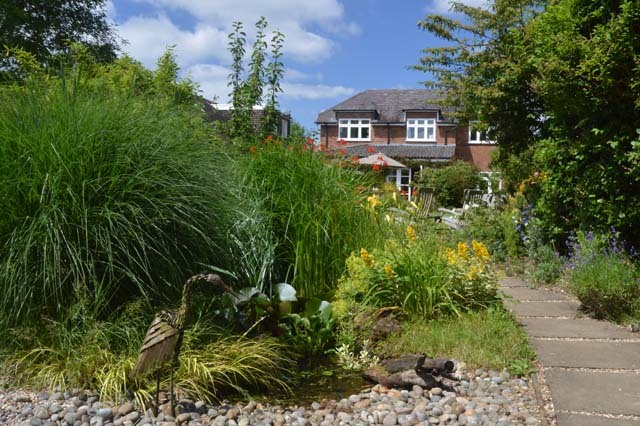 It was agreed that an extraordinary meeting of the Residents' Association would be scheduled for September 26th when Ian Cox would attend to present the legal situation and the detail around a judicial review. Committee members were urged to forward any questions in advance to Judi who would collate them and send to Ian Cox. Hilary reported that one of the flower tubs in Red Lane had been vandalised. A number of the street lights in Cromwell Lane near the Hickory's Smokehouse had not been working but this had been reported and the matter was being actioned. The footpath in Red Lane was still causing concern but it was believed work on this was being scheduled. R& B band concert was scheduled for September 23rd. A forthcoming Jubilee committee meeting would finalise the details. Free tickets had gone out to original purchasers. A complimentary glass of wine would also be provided or them. 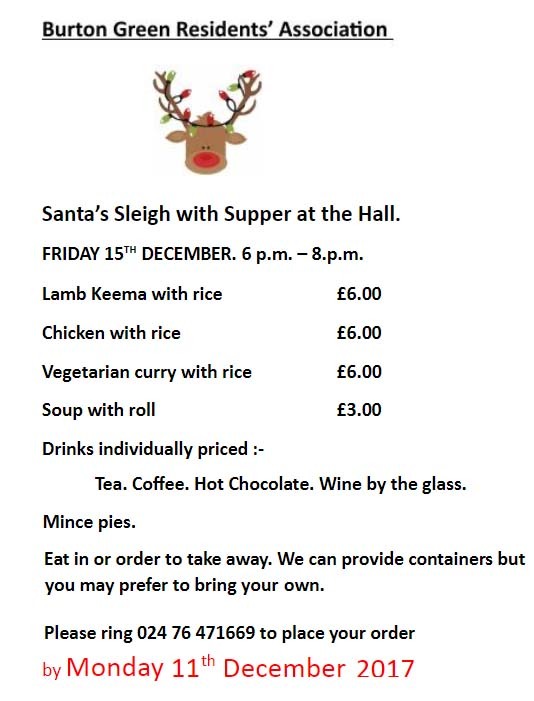 Other attendees would be welcome to pay on the night. November 10th 2018. As part of the commemoration of the ending of World War 1, a group of residents would be going to a performance of "War Horse" in Birmingham. 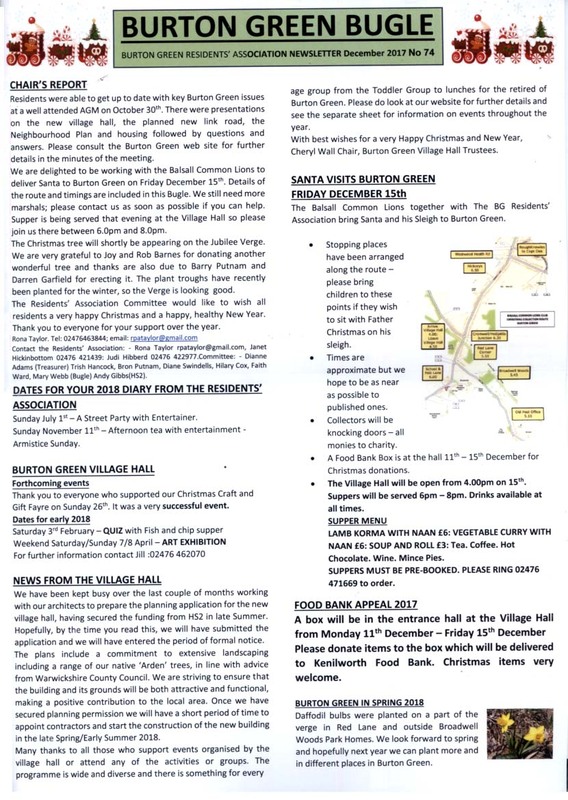 It had been agreed to hold an afternoon tea in the village Hall with community singing led by Burton Green Village Choir. It was still uncertain whether there would be a beacon as this had been left with the Parish Council. Contact had been made with Peter Hallam when the pavements in Cromwell Lane had been resurfaced. Apparently, there were plans to do the same in Red Lane in 2018. Fast broadband was to come to Cromwell Lane soon. The constitution required that the officers and three committee members should stand down. Current officers (Rona Taylor, Mary Webb, Dianne Adams, Janet Hickinbottom and Judi Hibberd) were willing to stand again unless anyone else wanted to take on any of the roles. Three committee members had to stand down. The banner would be put up on Friday October 13th. 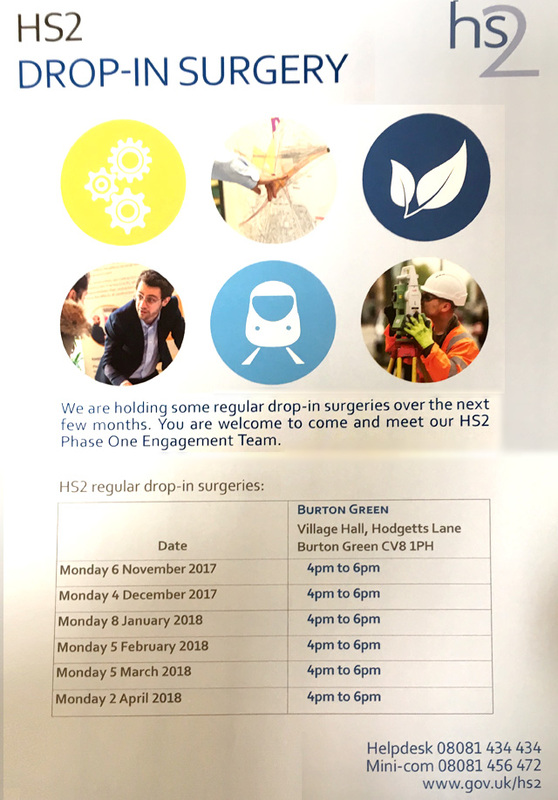 The Village Hall committee had received good news about HS2's support for the plan to be submitted for planning permission. 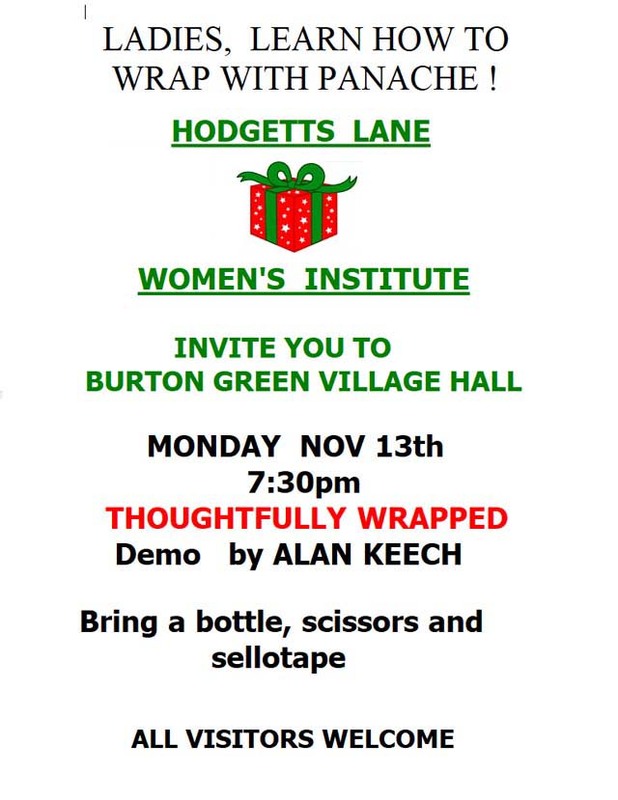 This was to take place at the Village Hall on September 19th between 4 and 7pm. Cllr Green said the PC had objected to the major planning applications for 425 houses to be built at Westwood Heath. They had not opposed the Cala Homes proposal but sent in comments for example about retaining boundary hedges to the site; the need for recharging points outside each house; subdued street lighting; the extension of the school parking area; a vehicular access to the playing field for mowing machinery; and the importance of a high wire fence around the field for children's safety. 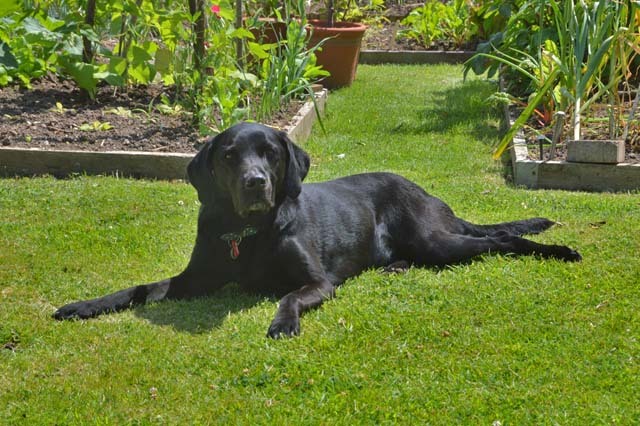 Fewer trees were recommended on the playing field area and a dog waste bin was requested. The PC was to have an informal meeting with Cala Homes. The road would not run all through the site, hence avoiding creation of a "rat run" but there would be a footpath. The PC was quite supportive of the overall plan. The building of two houses had been proposed on the plot next to the Thorntons' house. 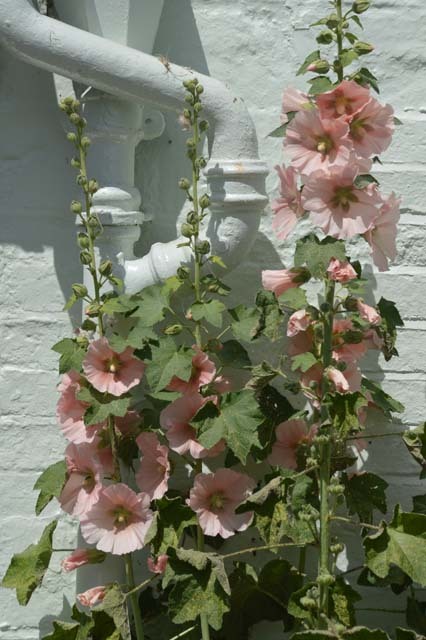 This was being opposed by neighbours. A new sign had been erected at the Red Lane playground to indicate children playing. The PC was looking into upgrading the bus shelter. Talks were beginning about the Coventry Southern bypass. Paddy asked if the Cala Homes proposal was still open for discussion. A notice had been issued on September 1st saying it was open for a further 21 days. 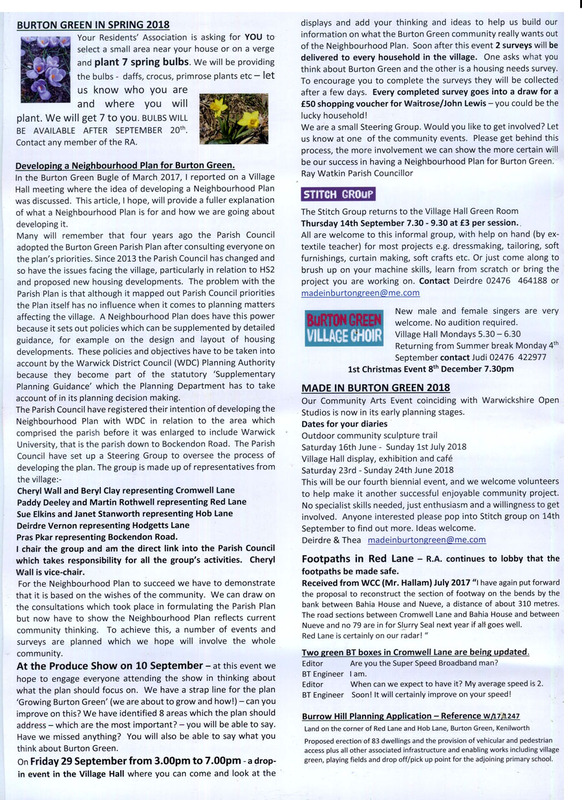 A reminder had been sent of the Made in Burton Green event in June 2018. The next committee meeting was scheduled for Nov 14th 2017. We are now in the final countdown for the GreenLeek10K, a major fundraising event in the local schools' calendar. With 3 weeks to go we have just under 300 runners in the 2017 Green Leek 10k run. We have a cap of 500 this year and would like to get closer to our target. 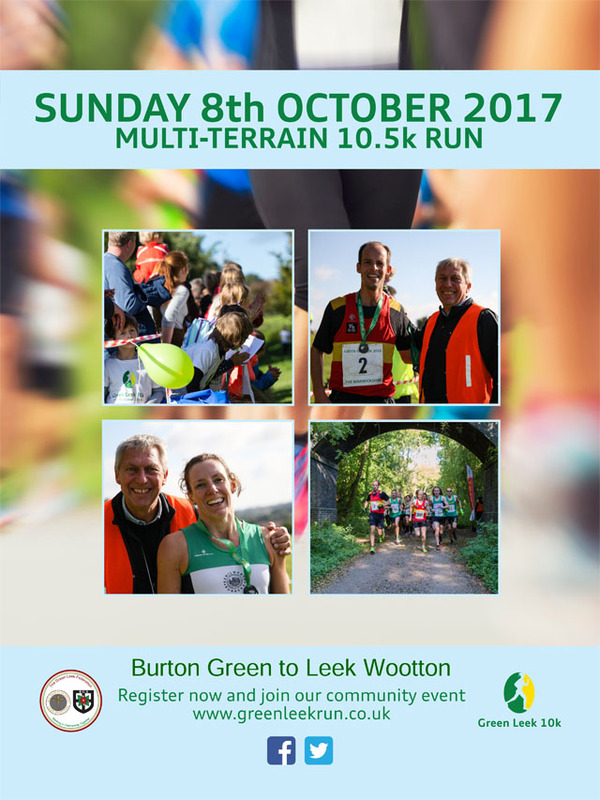 This unique multi terrain run starts at Burton Green School and follows a beautiful countryside route to finish at the Warwickshire, opposite All Saints School in Leek Wootton. Full details of how to register can be found on the website www.greenleekrun.co.uk . Brand New Dance Academy, 9th September 2017, 9.00-14.00. Free Taster Classes: Ballet, Tap, Jazz & Acrobatic classes for children aged 3+ run by a qualified Dance Teacher. 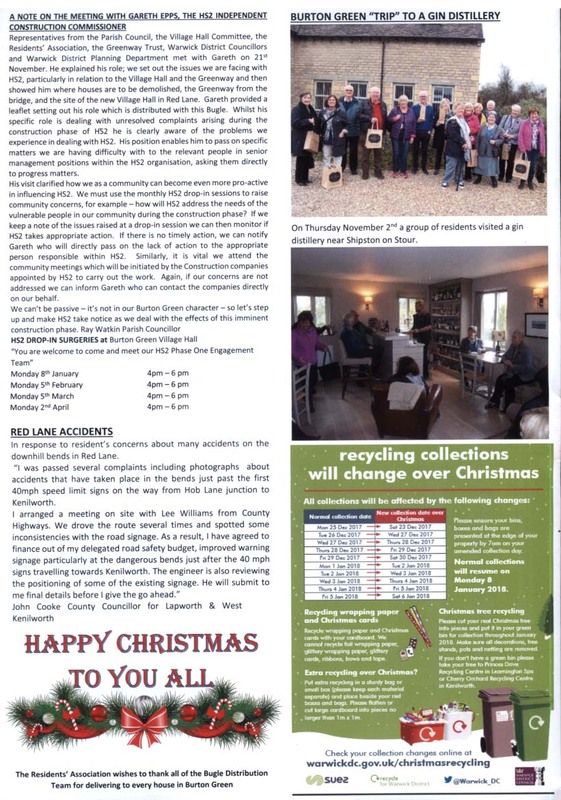 The September 2017 edition of the Bugle has been published. 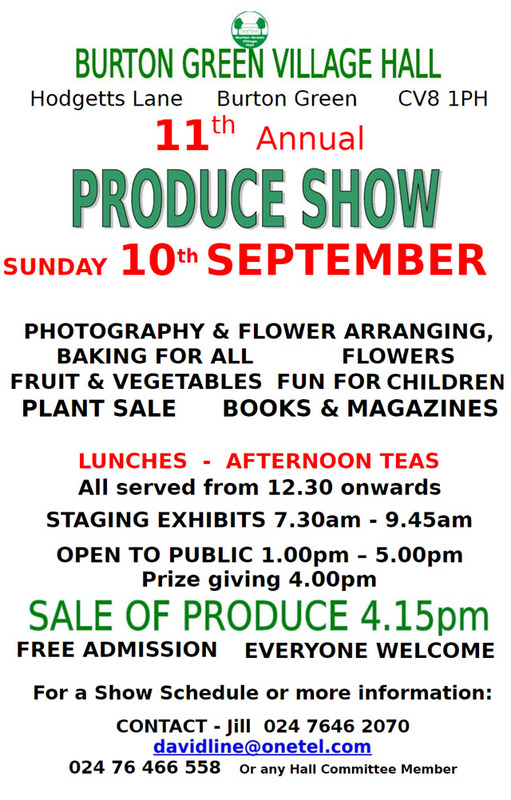 The annual Produce Show takes place on Sunday 10th September at the village hall. If you have any Plants or Produce that we can sell at the show please deliver to the hall either after 4pm on Saturday 9th September or during the morning of the show. 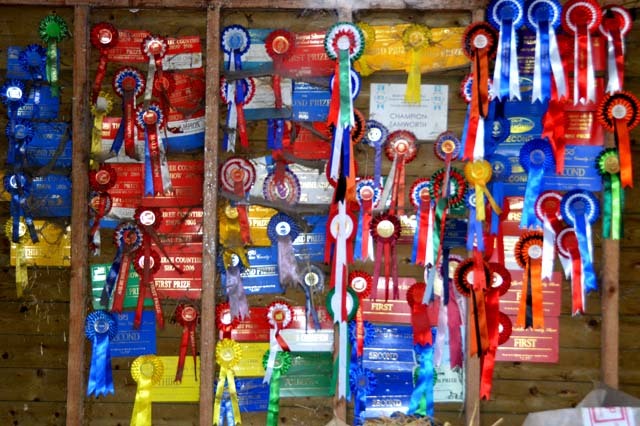 Also if you have any books or magazines that we can sell, ideally please deliver to the hall on the Saturday after 4pm, give to any committee member in advance. A hybrid planning application has been made to Warwick District Council for the construction of 425 houses South of Westwood Heath Road. Objections are filed under the tab labelled 'Documents'. Please note the cut off date of 11th August should you wish to respond. Apologies had been received from Dianne Adams, Trish Hancock, Bron Putnam, Diane Swindells, Rona Taylor and Faith Ward. The minutes of the previous meeting of May 9th 2017 were approved. Request 50% of Bugle printing costs from PC: cheque received. Find out availability of Salvation Army Band for November 10th 2018: not available. Letter of thanks to Deirdre for sign refurbishment: completed. 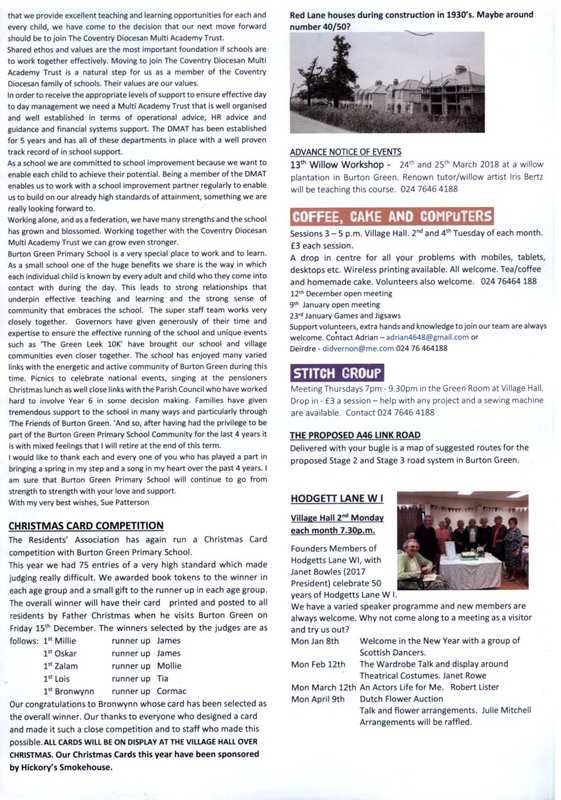 Include in Bugle information for residents to sign up to Village Email Loop: completed. Greenway Trust to be consulted regarding problems of access and need for notices about taking home litter: completed. Book Village Hall for afternoon and early evening Saturday November 10th 2018: completed. Availability of singer for commemoration event: Jane Darling WW2 singer would charge £150 for two slots. It was decided this was not required. All other matters arising were to be agenda items. Mary reported that, with a few exceptions still to be chased, annual subscriptions had been collected with good results. The Public Liability insurance certificate was now on display in the hall entrance. A resident living on Red Lane had communicated with Rona following the Cala Homes consultation. In particular she was concerned about the pedestrian route along Red Lane, especially when walking young children. 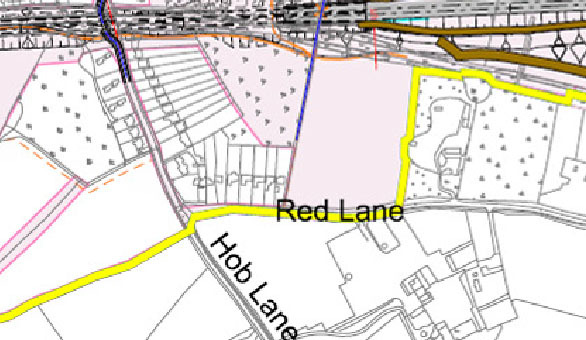 She suggested Cala Homes might be asked to create a new footpath avoiding the bends in Red Lane and crossing to Hob Lane. She also queried whether the 30mph speed limit could be extended but the committee knew how difficult it had been to implement the current restrictions and that John Whitehouse, former County Councillor, had worked tirelessly to obtain them. The resident also queried the car parking facilities proposed by Cala Homes, especially the insufficient number of spaces and the potential bottleneck on entry and exit. There was also discussion regarding the potential Cala Homes support for the new Village Hall and it was agreed the Village Hall committee and Parish Council were dealing with this situation. The very wet windy evening had prohibited Henry’s band from playing safely at the planned event. No wet weather insurance had been taken out on this occasion. People had worked very hard and there was much disappointment. Fortunately, agreement had recently been reached with the band to provide a replacement concert on September 23rd in the Village Hall. Those who had paid for tickets for the cancelled event would be admitted free of charge and offered a glass of wine on arrival as a thank you for their continued patience and support. Tickets would be on sale to anyone else. b. Warden Shelter, Red Lane. Ross McClean from Sustrans had looked at the shelter and agreed to cut back the ivy in September. He reported that the brick work appeared to be in good condition. A decision will be taken on whether repairs are necessary once the vegetation has been removed. 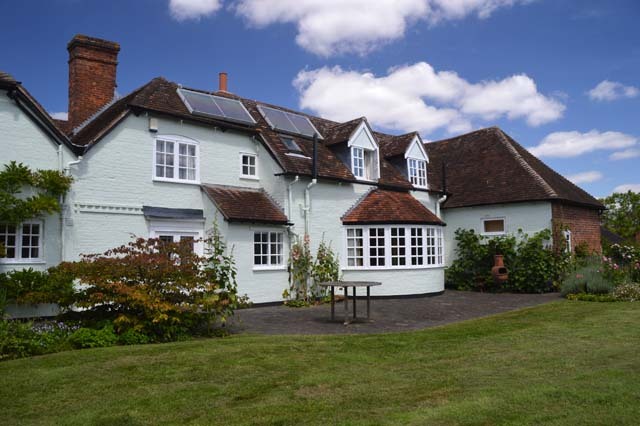 The Wardens’ Cricket Club in Kenilworth had been approached but had insufficient funds to help. The Village Hall Trustees had been told by HS2 that the current design for the new village hall was not acceptable. Discussions were on- going. Andy reminded us that all residents need to be encouraged to suggest what facilities and enhancement to Burton Green they wished to see post HS2. These ideas would then be costed and could be presented to The Community Fund. Instant ideas included footpath improvement, mains drainage in Red Lane and Hob Lane, use of sandstone blocks from the bridges removed by HS2 for a possible area outside the new Village Hall and repair of the Air Warden's Shelter. It might also be necessary to ask for monies to assist in the rebuilding of the new Village Hall. Andy advised that each request should be made as the need arose rather than presenting a long list. No report had been provided. 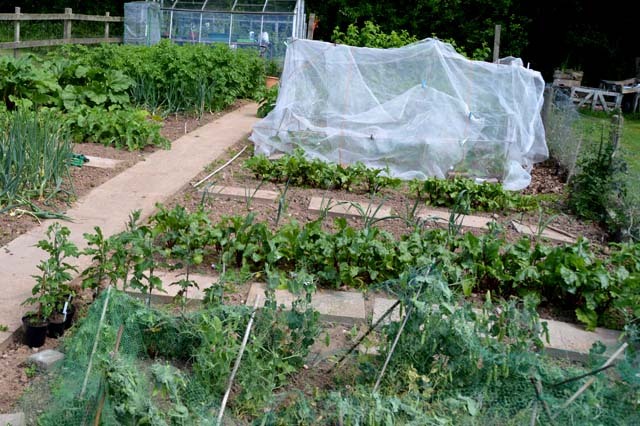 Andy said the Parish Council had discussed the ongoing matter of how Coventry City Council had overestimated how many houses were needed and this impacted on the proposed house building projects on Green Belt within our area. Leaflets had been distributed calling on residents to support a protest on Sunday July 16th. A Neighborhood Design Group has been formed under Cllr.Ray Watkins, with each Lane having representatives, and when ready would inform residents. Presentation of the Local Plan. Rona had been to a presentation on the plans for a proposed new junction off the A46 at Stoneleigh. Proposals were also under discussion for a Phase 2 and eventually a Phase 3 new road system. Consultation on Phase 2 was due in May 2018. 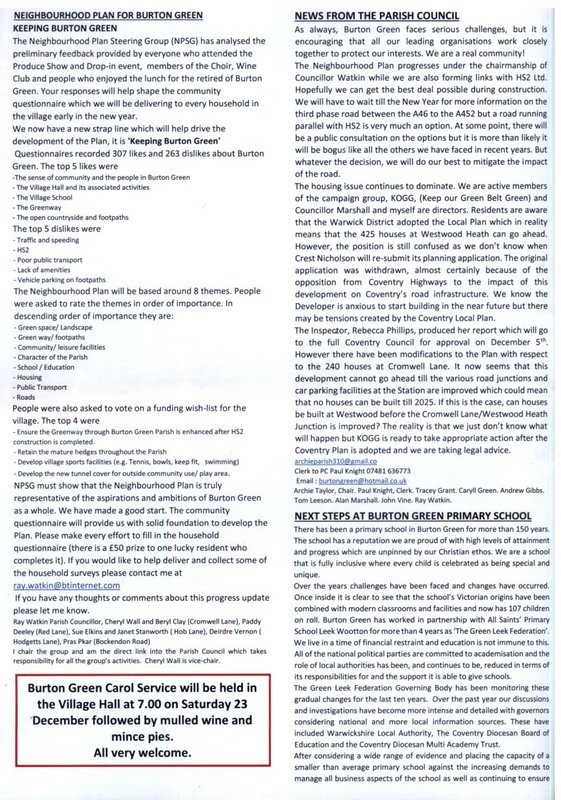 Of greatest concern to residents would be the route of Phase 3 which could well threaten Burton Green. Adrian Hart, WCC Team Leader of Transport Planning agreed he would make a presentation to the PC once plans were more advanced. He had been honest in his responses to Rona, which she appreciated, but her fears were not allayed. 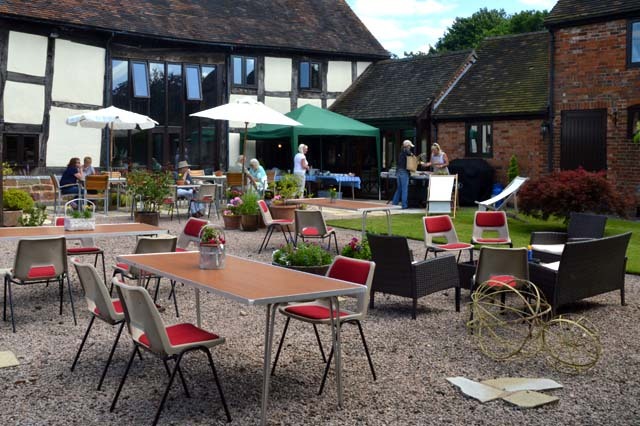 The next lunch for the Retired of Burton Green was to be held on October 6th. 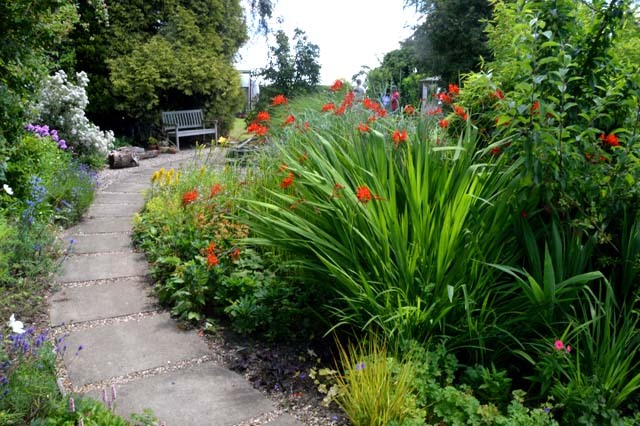 In the September edition of the Bugle residents will be offered 7 bulbs for planting to enhance an area of the village. This item would be discussed in more detail at the next meeting. Neighbourhood Plan A Neighbourhood Plan meeting had been held on July 3rd. 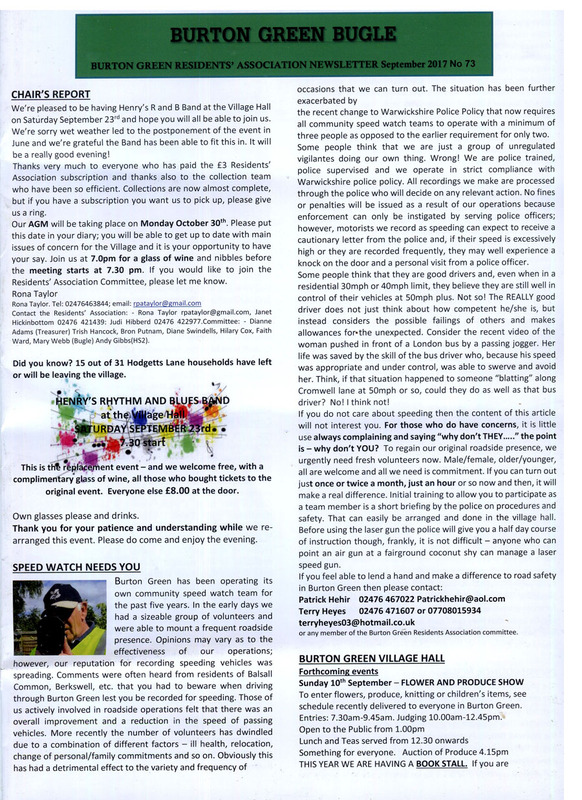 Ray Watkins would provide an article for the September Bugle. 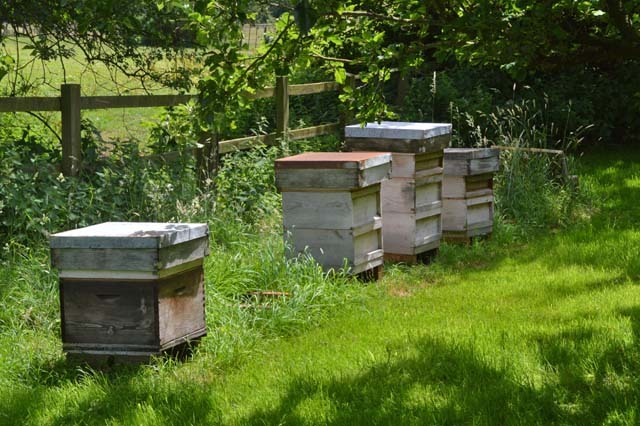 Funding was available from Warwickshire County Council. The next meeting would take place on September 12th 2017. 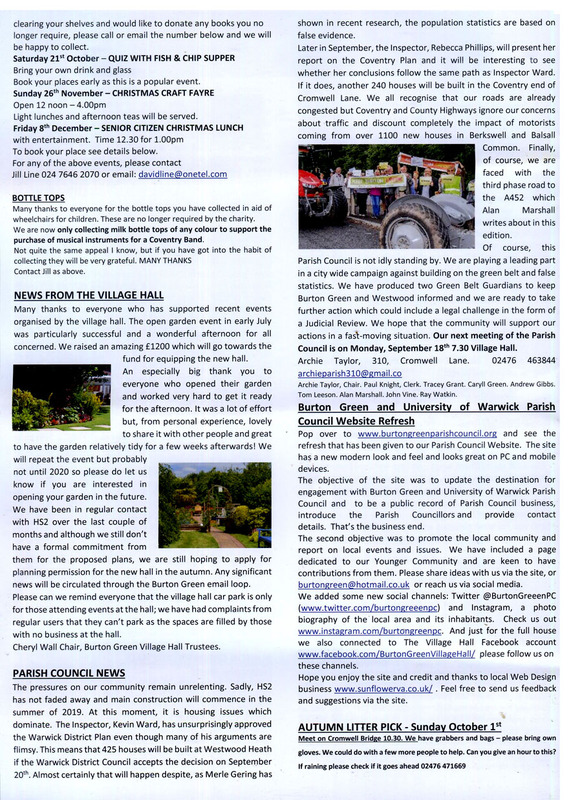 There is a report in the Kenilworth Weekly News detailing false premises in the WDC local plan, and describing a protest planned for 16th July at Finham. In protest, residents and campaigners will be forming a ‘human chain’ in Green Lane next to Finham Primary School on Sunday July 16 at 1pm. 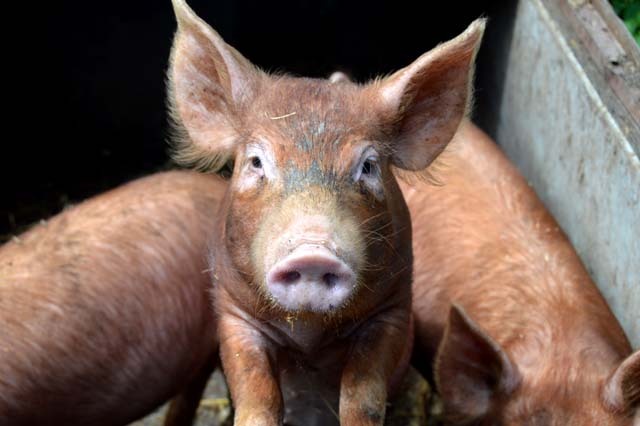 Anyone against the plans is invited to join in...."
At 12.50 pm we will be starting our line at the Finham Primary school gate and then spreading down Green Lane until we reach KINGS HILL LANE. N.B we must remain on the path at all times both for safety and to keep our protest within the law. Anyone travelling by cars please make sure that you park in a side street or on the side of the road OPPOSITE to where we will be standing for safety reasons. Please do NOT park on the forecourt in front of the shops as we need that area to assemble at the end. Find the next space and join the line. Those residents that have the large orange SAVE THE GREENBELT banners please bring them to make more impact in photographs. We have some of the yellow posters NO BUILDING ON KINGS HILL which we will hand out to different people along the route. When we complete the line between the school and Kings Hill Lane we would ask people to start the line from the Primary School towards Finham Park School. If everyone in Finham turns out to support us we should be able to fill the whole of Green Lane. We have invited Jim Cunningham and the Coventry Councillors to join us. A tractor will be driving along Green Lane during our HOUR of Protest so give a cheer as it passes and remind any media there NO BUILDING ON KINGS HILL. We will be joined by other residents from across the city who are also campaigning against the building on Greenbelt land. July 11th (today) is World Population Day. Governments around the world are being urged to consider the problems caused by unrestrained population growth and to take action. Though the answer to population growth has nothing to do with building more houses. 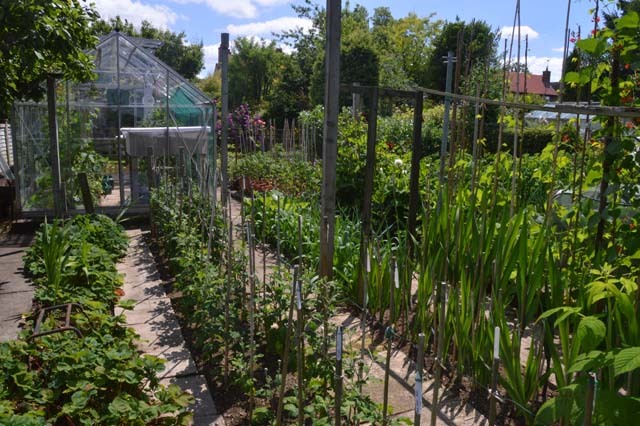 A long rectangular garden split into different sections - a terrace area with small pond, more formal lawn and long border, middle section with wildlife pond and vegetable beds, fruit cage, greenhouse and cutting border. 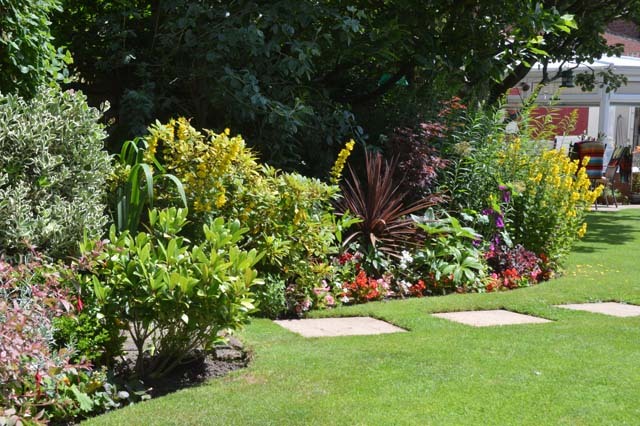 A long mature garden at the rear of a 1913s semi-detached house. 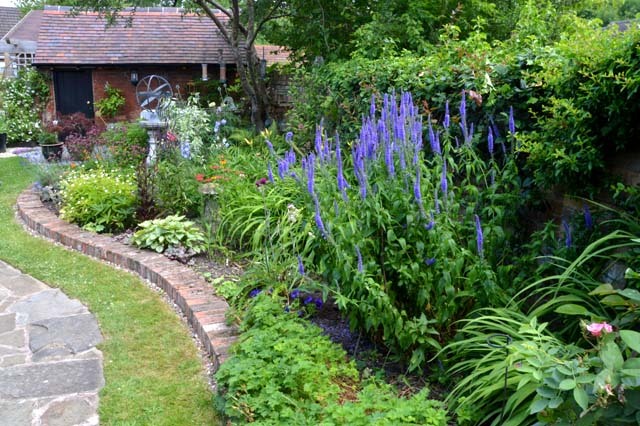 A practical garden that accommodates dogs, grandchildren, flower borders, fruit and vegetable areas. Chrysanthemums are grown as a hobby. 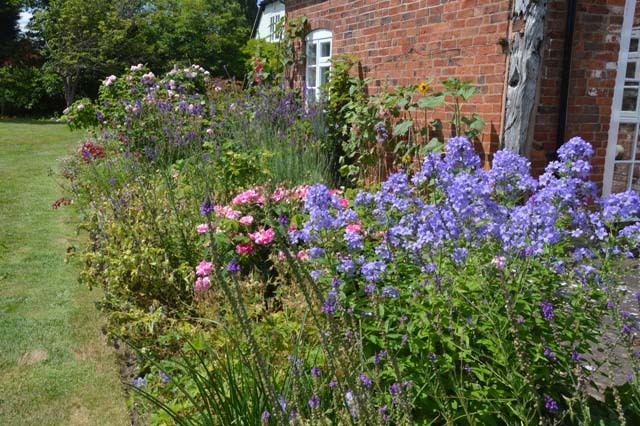 A medium to large cottage style garden with no formal planting. 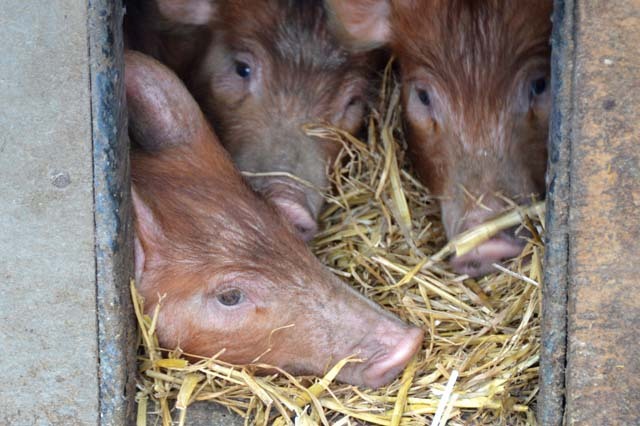 At the end of the garden area a 3 acre plot is home to Tamworth pigs and chickens. 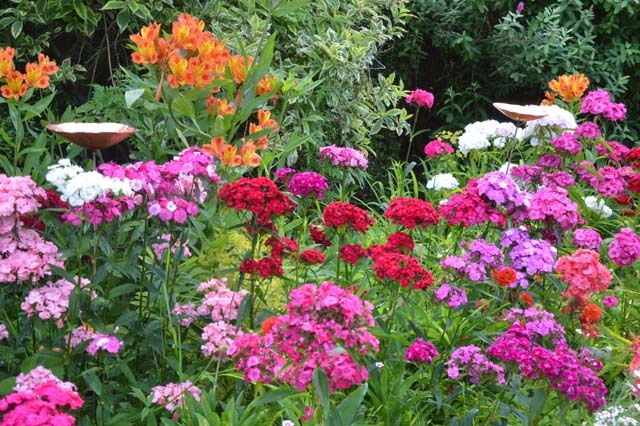 The garden is for outside living which grand children and adults can enjoy. 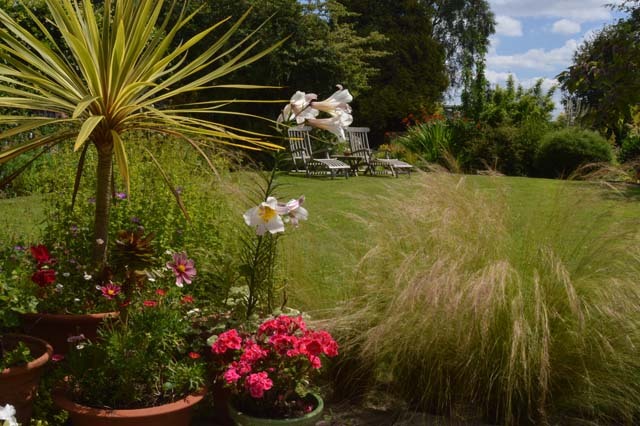 There are two separate spaces, untamed and more formal both attracting wild life and providing distinctive areas of light, shade and privacy. 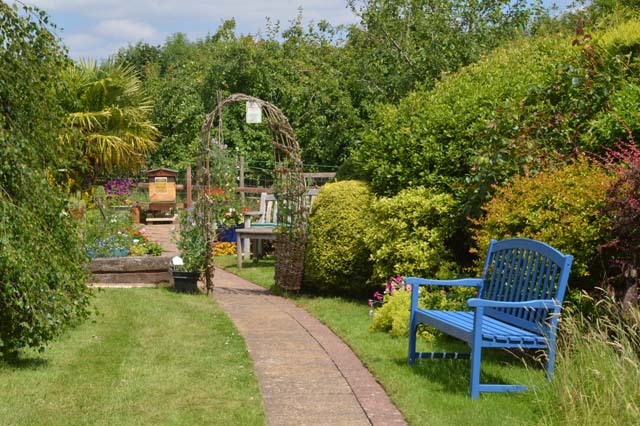 A modern style house with hedged back garden, complete with flower and shrub borders, raised vegetable beds, container plants and greenhouses. 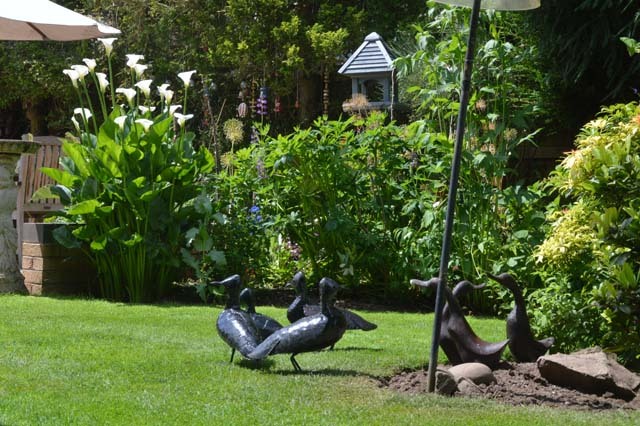 Complemented by garden ornaments and wicker sculptures. 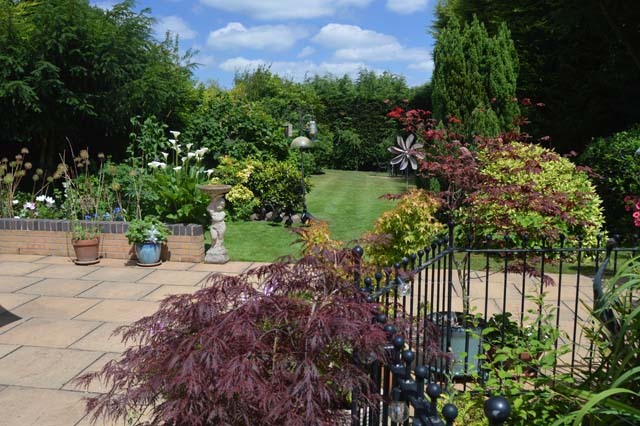 A long frontage, and a long back garden with mature trees and shrubs. 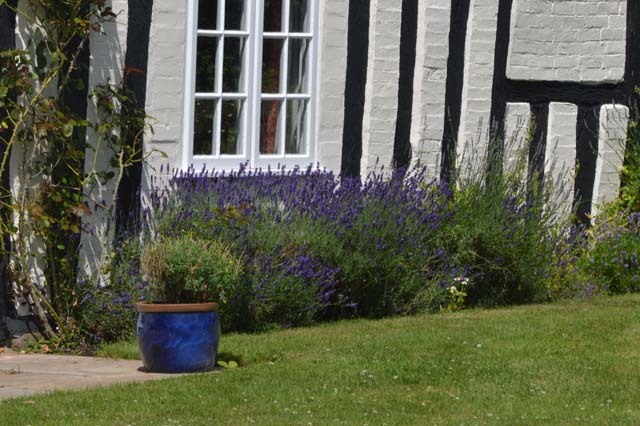 A fishpond and large patio at the back with pots. 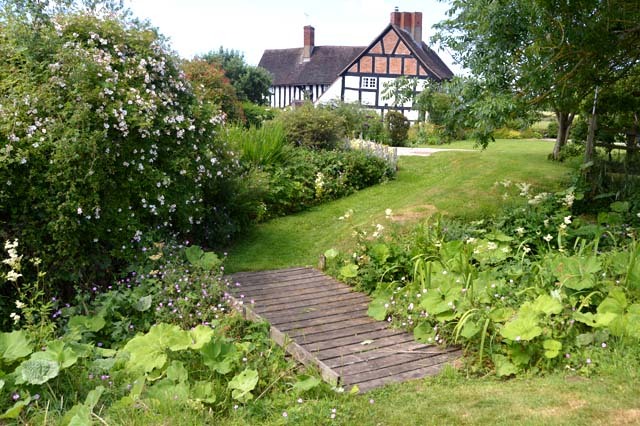 A garden round a series of old farm buildings with shrub and herbaceous borders. 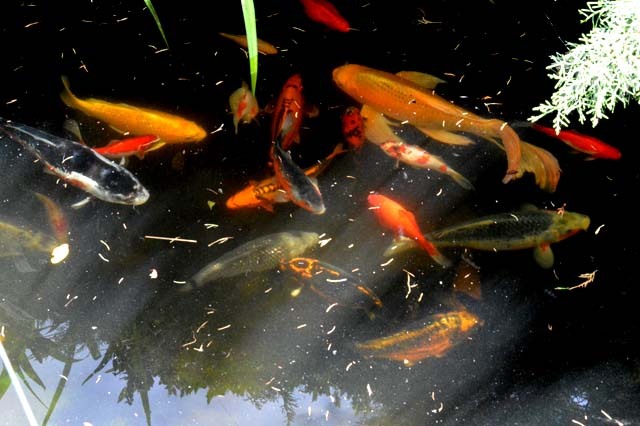 The duck pond has a spinney of native species. 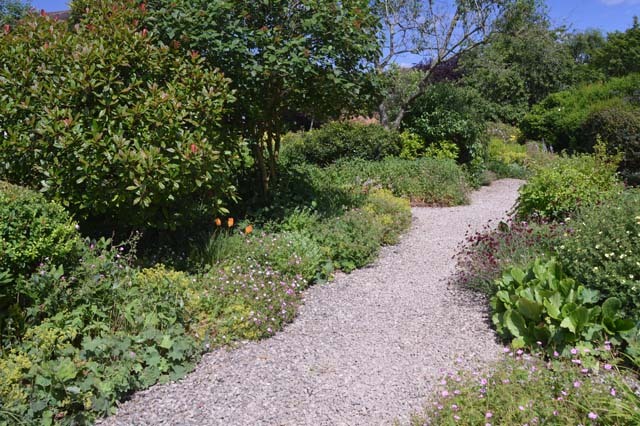 The garden to the rear has an orchard, a vegetable plot, herbaceous borders and lawns. 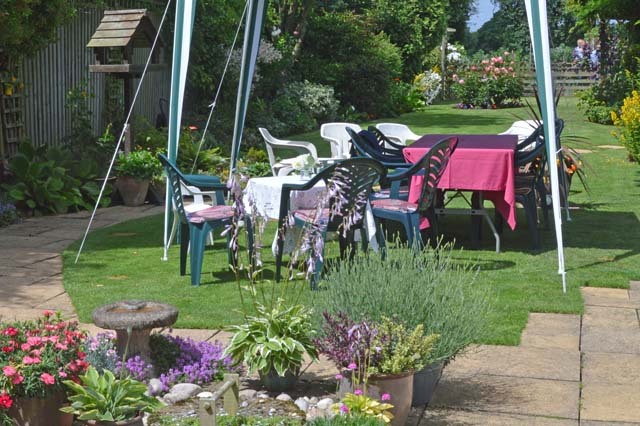 A courtyard garden with cafe for cakes and teas, Also plant and book sales. 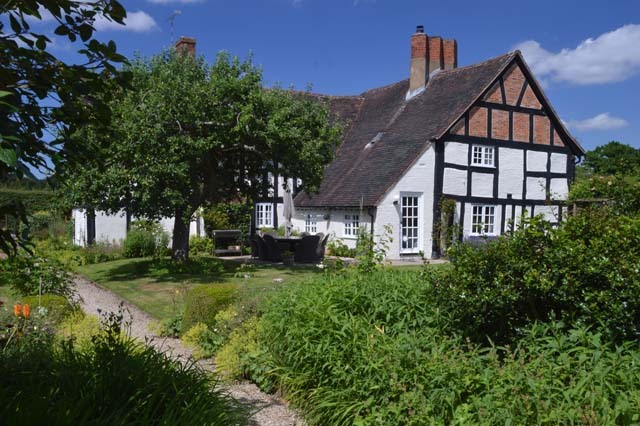 A 16th Century House with 2 acre garden. 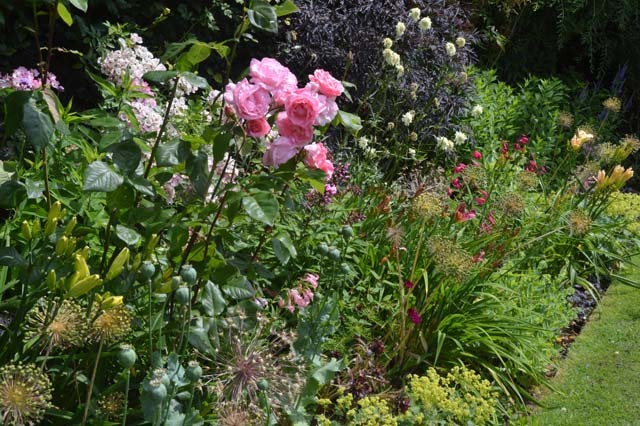 Mixed borders with over 35 varieties of old shrub roses, vegetable garden and woodland walk.